Breathe Right is giving away a FREE sample of Breathe Right Nasal Strip if you fill out the online form on their website. The nasal strips will open your nose and relive night-time nasal congestion, reduce snoring and improve air flow. Breathe Right nasal strips are clinically proven to lift nasal passages and improve airflow. 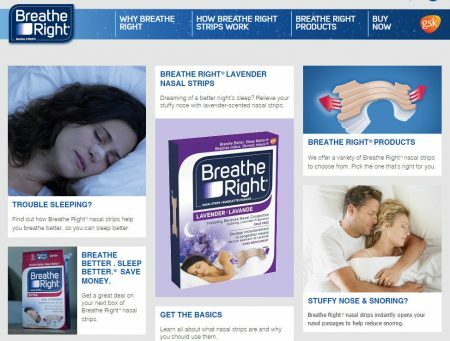 Try Breathe Right products and discover a drug-free solution that helps you breathe better, sleep better, and feel better. Please allow 6-8 weeks for delivery of sample. Offer good in Canada only while supplies last. Click here to get a FREE Sample of Breathe Right Nasal Strip. Click here to visit Breathe Right’s website for more details about the product.